Five years after my first glimpse of Mt. Mayon, the 23rd highest peak in the Philippines (2,462 MASL) and an active volcano in the province of Albay renowned for its almost perfect conical shape, I was able to come back along with 2 friends and 4 new ones, not only to relish the view from a distance but to experience its trails within. As members of the group were coming from everywhere, our group convened at the Legazpi bus terminal. 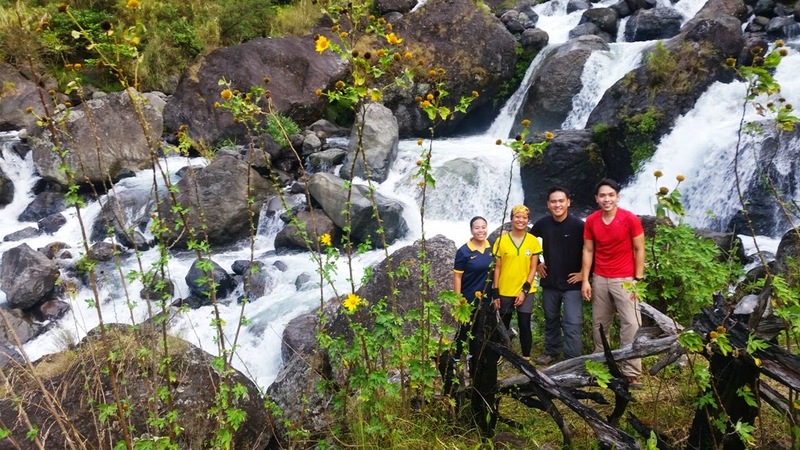 I got reunited with Kabayan hiking buddies (Read about it here), blogger friend Edgar of EazyTraveler, who's also our trip organizer and Ryan T. For the first time, I met avid travelers, Philip, Mikoy, Ann and Ryan D. From here, we took a one hour van ride to Tabaco city (50 Pesos) where we hitched on a vehicle transporting the staff of Mayon Skyline (Formerly Mayon Rest House). By 5:00 PM, we were already settling in at our "base camp", the floor of the cafeteria. As bedtime was several hours away, we wandered around Mayon Skyline which is a destination on its own. There are huts which serves as an excellent view deck where you can see the peaks of Mt. Masaraga, Mt. Malinao and along with Mayon, it forms what is known to Filipino mountaineers as the Albay Trilogy. A shadow of Mt. Isarog in Camarines Sur can also be seen. but nearby peaks as well. We turned in early after bonding over coffee and taking advantage of the unlimited videoke. In the middle of the night, while cocooned inside our sleeping bags, over the hard, cold tiled floor, the temperature dropped. Suddenly, my jacket and all the protection I wore all became insufficient to battle the cold. I resisted the urge to snuggle to save myself from a black-eye, haha! I couldn't sleep well after and waited until the alarms went off before preparing for the hike. It drizzled for several minutes just as we were about to walk out. Fortunately, it stopped. By 5:30 AM, we were already making our way to the jump-off which was just a few minutes from where we spent the night. Power breakfast. We ordered an early breakfast which was served before 5:00 am. The first hour of the hike was through a rough section of the forest. A single person, steep, trail made slippery by the light rain and sprawling with plants that can cause severe itching on contact. On some parts, only one foot at a time could fit while some are dangerously located beside deep ravines with only weeds or tree branches to hold on to. It was actually my favorite part as there lots of trees and plants, truly a visual treat. The next few hours was terrifying as the trail involved walking over wet boulders which reminded me of the conditions when I had a rock climbing accident in 2009. It was also drizzling then. While strapped on a harness, attempting to get to a hard section of a boulder, I slipped and hit my left leg against a jagged rock. It ripped a portion of my skin, blood oozed out and I had to go to the hospital to get 7 painful stitches. I could only drag my left leg to be able to move weeks after that. It was traumatizing and every time the situation is recreated - seeing large rocks, especially wet ones, fear uncontrollably rushes in. Fear became easy to ignore as I was with excellent company and despite the difficulty of the trail, we had time to talk and laugh. We were also led by a good group of guides who made sure everyone is able to get through the boulders safely. It rained on and off during the entire hike and after 3 hours of ascent at 4.9 km of challenging trails, we aborted our bid to the summit which was just 1.6 km away. The trail was becoming dangerously slippery and was meant for another day. 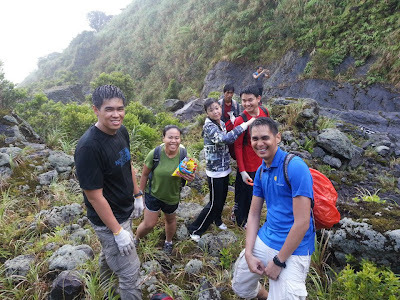 The wet conditions we encountered during this 7 hour hike has made this my most terrifying mountain adventure, personally, much scarier than crossing the knife-edge trails at Mt. Guiting-Guiting, a mountain in Romblon with a difficulty level of 9/9. It was a good decision that we aborted because rained continued even as we left Mayon Skyline. When we got back to Tabaco, everything was dry and it look like it hadn't rained. Though our group failed to make it to the summit, I consider this a successful hike for it isn't always about reaching the summit. What matters most are the relationships we're able to build and keep while in pursuit of our passion. For more information on doing a day hike at Mt. Mayon, check out Pinoy Mountaineer. 1. 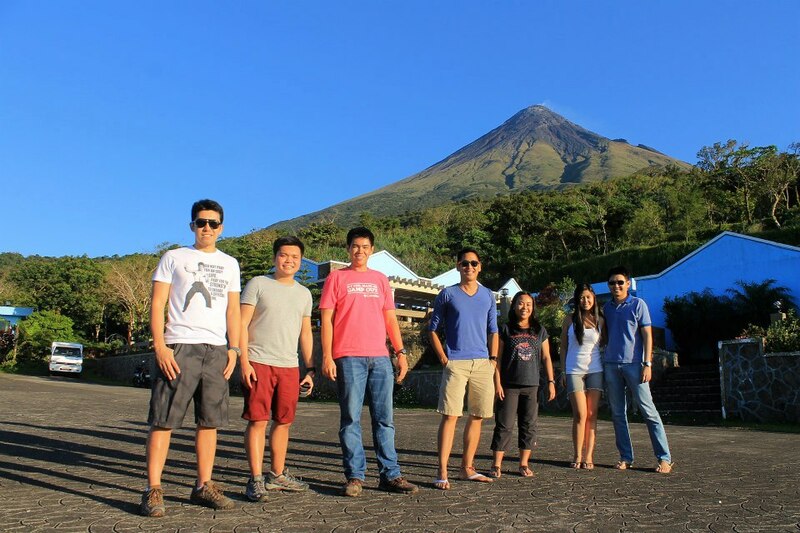 Legazpi City is the primary jump-off to hiking Mt. Mayon. From here, there are a lot of trails leading to the summit. Some would take two days, while some takes only a few hours. It all depends on your preference and how much time you have. Whatever trail you take, you must have physical preparation as the trails are steep. Try stairs climbing or do some minor hikes. 2. 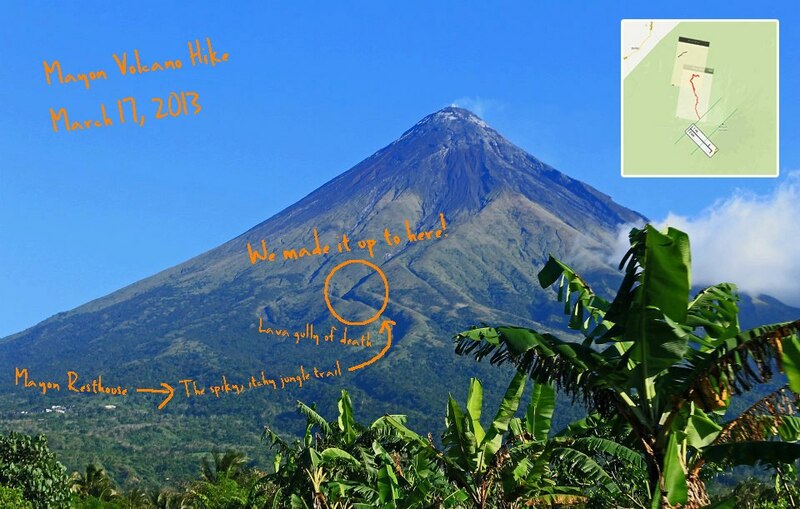 For a hike to the summit, better coordinate with the tourism office (Albay Tourism Office is +63(52)8206314 or (052)820631). Our friends at Trail Adventours also offer hiking packages at 4,800 Pesos/head (Local Rate) | 5,500 Pesos/head (Foreigner Rate). Visit their website to inquire. Contact Details : info@trailadventours.com ; Contact Numbers : (+632) 6979711and (+63917) 5827517. 3. 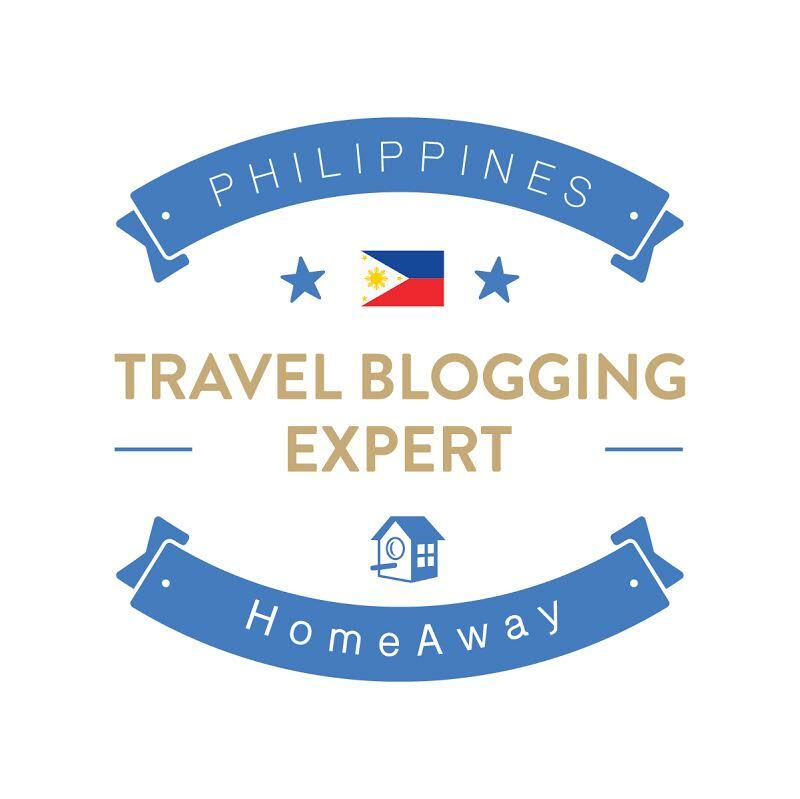 To get to Legazpi City, you can take a 10-hour bus ride from the Araneta Center Provincial Bus Terminal or take an hour flight from Manila via Cebu Pacific or PAL Express. Going here, I rode a Belleza bus from the Cubao Bus Terminal (Aircon, 500 Pesos only, one way) which departed at 8:40 PM, an hour later than what I was told. 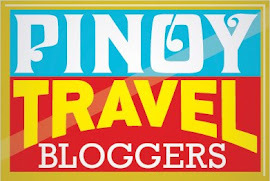 It's a good option if you're on a budget (friendly staff) but otherwise, I'd suggest riding the popular ones such as Cagsawa Travel & Tours bus, DLTBCO, Isarog Lines as the Belleza bus has a small leg room. 4. For this hike, I packed 2.5 Liters of water, 2 Snickers bar, a burger, packs of nuts and raisins, first -aid kit, sealed all belongings inside waterproof bags, waterproof jacket. 5. Recommended Outfit : Dir fit shirt, trekking pants, arm sleeves, cap, Footwear must have strong grip. 6. Bring a gas mask to be used near the crater rim. The ones for filtering inorganic gases, (sold around 300 Pesos at Handyman). "I'm going back to Canada next week." 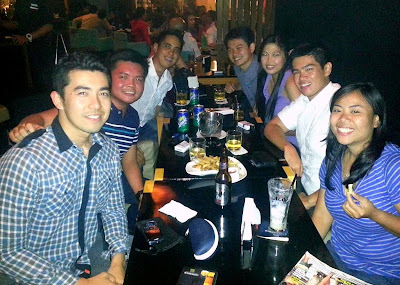 My good friend Drew's bittersweet announcement gave way to planning his last escapade in the Philippines. Gorging on Chinese food, which we both enjoy, came to mind but for the nth time, we chose the outdoors. The group decided on Mt. Talamitam, which is just three hours away by bus from Manila. It's jump-off is 30 minutes from another hiking destination frequented by local hikers, Mt. Batulao. In fact, some physically prepared hikers would combine the two in one trip, taking up half a day to complete both to maximize their resources. 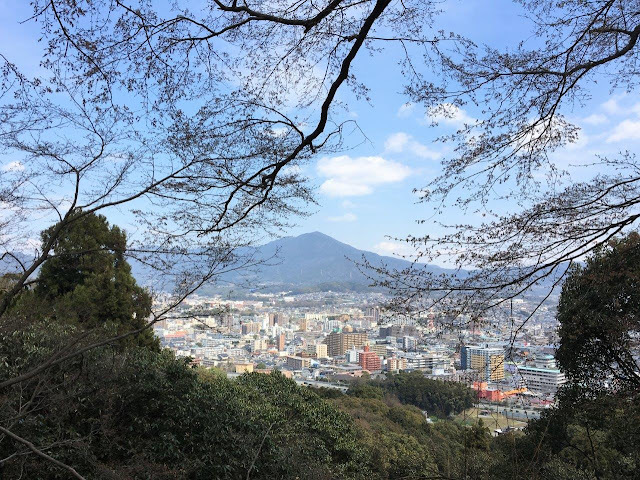 Although I have seen the grand views from its peak too many times, I was still excited at the thought of traveling with friends and going out for a hike, even for just a day. Joining our trip were Kaiz Galang of MissBackpacker.Info, Kirk (a friend of Kaiz' and now, ours too!) and Jerome of Balintataw.org. We met at the Crow bus terminal along EDSA-Pasay. It's located beside Hotel Sogo and Mc Donald's (open 24 hours so you can grab breakfast here) , across Metropoint Mall. Travel time took around 3 hours (124 Pesos). Note: If the conductor is not familiar with the route marker, KM 83, just tell him you'll be going to Mt. Talamitam. It's at Sitio Bayabasan, Brgy. Aga. At a shed a few meters from the highway, we registered and paid 25 pesos/head. There's also a restroom here where you can "unload" before a hike. 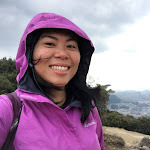 Although one of our companions, Kaiz, who has also visited the mountain several times is pretty much familiar with the trail, barangay policy mandates that all visitors get one at a rate of 350-400 Pesos/day. We hired one, a young guy no older than 20. At a little past 7:00 AM, we made our way up the mountain and in a few minutes, got down to a river. There used to be a hanging bridge made of bamboo built over it to get to the trail head, however, only remnants of its structure can be found. Crossing the river was quick and easy but we still had to slow down to avoid slipping. The steep but short trail covered by trees was at the early part of the hike. After that, under a nearly cloudless sky, we ascended a massive grassland scattered with cow dungs. As this mountain is across Mt. Batulao, I looked back a few times to be compensated by the views of the nearby mountain. In 2.5 hours, we arrived at the summit (altitude at 630 MASL), rewarding us with views of other peaks such as Mt. Makiling, Mt. Batulao, Pico de Loro - its infamous parrot's beak glared from a distances making it easily identifiable. We were sitting down no more than 10 minutes when an ice cream man arrived at the peak to selling us goods. Whoa! Now, that's truly hard-earned money. We took our sweet time at the peak, chatting and laughing the rest of the morning away. As a post hike treat, we traveled by jeepney to Mahogany Market in Tagaytay city where we celebrated over rice, beef bulalo and Tawilis, a small fish, normally served fried which can be consumed in whole. We split the bill and only paid (230+ something each). Our last stop was at the family rest house of Drew, where we cleaned up before taking the bus back to Manila (104 Pesos). A copy of an itinerary to Mt. Talamitam can be found at PinoyMountaineer. Please also check out Jerome's post about our hike - Enjoying ice cream atop Mt. Talamitam.